Heavy demand from small investors is resulting in shortages in popular coins such as the American Silver Eagle, and leading to premiums that are well above spot price on silver coins. As ZeroHedge reported yesterday, the American Precious Metals Exchange (APMEX) – one of America’s biggest wholesale precious metals retailers – warned of potential delays into mid-May in delivering Silver Eagles, and is now offering to pay $3 over spot for any Silver Eagle coins in any quantity. IMF Bombshell: Age of America About to END! So, what are the Chinese investing in now? “I've tried to emphasize this, but the key here is PURCHASING POWER. When the dollar price of a loaf of bread rises from $1.90 to $2.10 that means something to the average American. But when the Dollar Index drops from 75 to 73.97 the average American doesn't understand it and isn't the least bit interested. Why the battle to keep gold below 1500? Markets tend to stop at big even numbers. Many of us old timers remember the battle of "Dow one thousand." We remember how the Dow fought month after month to close decisively above 1,000. Then, once above 1,000 the Dow was on its way to 2,000, 3,000, 4,000 and finally 5,000. From there the Dow battled to move above 5,000 -- on its way to 10,000. The battle about gold closing above 1500 is that once above 1500, technically gold will be on its way to 2,000. And from there 5,000 will be the target. So 1500 is a psychological barrier that, from the bull's standpoint, must be bettered. But from the anti-gold crowd's standpoint, gold must be held (on a closing basis) below 1500. Big Al says he's overweight in precious metals and he likes TD Bank. Legendary Investor Jim Rogers, Says "Eventually Everyone Will Own Gold!" Canada’s inflation rate accelerated in March to the fastest in 2 1/2 years, exceeding all economist forecasts, with widespread increases led by energy costs. Consumer prices rose 3.3 percent from a year earlier after a 2.2 percent gain in February, Statistics Canada said today in Ottawa. Prices were up 1.1 percent on a monthly basis, the fastest since January 1991. Both gains exceeded the highest forecasts in Bloomberg surveys of 25 responses, which had median estimates of 2.8 percent for annual inflation and 0.6 percent for the monthly figure. The report exceeds the Bank of Canada’s April 13 forecast that inflation would reach 3 percent by June, driven by temporary factors such as energy costs and higher provincial sales taxes. 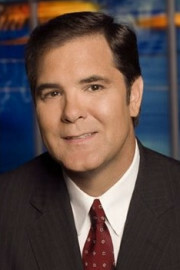 The economy has “material excess supply” that will lead overall and core inflation to converge at the 2 percent target in mid-2012, the bank projected. “It definitely puts the pressure back on the Bank of Canada to raise interest rates,” said Sheryl King, head of Canada economics at Bank of America Merrill Lynch in Toronto. “It’s not going to be the end” for inflation pressures, she said, adding the economy may already be operating at full output, compared with the central bank’s prediction this will happen in the middle of next year. 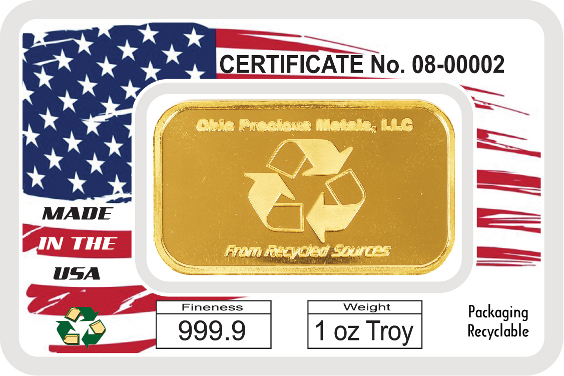 The most cost effective way to own physical gold bullion. 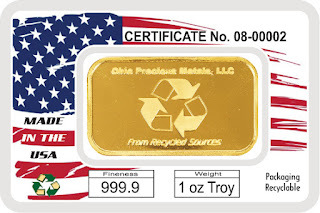 These brand new, fully certified gold bars are guaranteed quality and purity. Dallas hedge-fund manager J. Kyle Bass helped advise the University of Texas Investment Management Co. on taking delivery of 6,643 gold bars, worth $987 million on April 15, now stored in a bank warehouse in New York. The University of Texas Investment Management Co., the second-largest U.S. academic endowment, took delivery of almost $1 billion in gold bullion as the metal reaches a record, according to the fund’s board. Check out this great MSN video: Returning to Gold Standards? The Road to $5,000 Gold! This is because, according to the folks at Standard Chartered, gold is moving into a new "super-cycle" as a number of structural factors -- including consumer demand from Asia and tepid growth in supply -- combine to push prices higher. The team, led by Dan Smith, is looking for prices of $2,107 an ounce in 2014 as its base forecast. The team's members see the potential for much more. In their words, "statistical modeling suggests a possible 'super-bull' scenario of gold prices rallying up to $4,869 in nominal terms by 2020." The driver is increased wealth in Asia. The evidence shows a strong relationship between rising incomes in places like China and India and increased gold demand. Much of this is cultural, with gold holding a place of special religious reverence. It's All About The DEBT! WHY protect your wealth with GOLD? Believe it or not, ALAN GREENSPAN wrote this in 1966 in an article entitled "Gold and Economic Freedom" ! A man was walking on the beach and ran into a little boy throwing starfish into the ocean. When the man asked the little boy what he was doing, the little boy explained that the tide had gone out and left the starfish on the shore. They wouldn't survive the day in the sun and if they didn't get back in the water, they would dry out and die. Amused, the man looked down the beach and noticed that there were thousands of starfish washed up on the shore and they went out as far as the eye could see. "Little boy, while I appreciate what you are trying to do, there are thousands and thousands of starfish on this beach. You can't possibly make a difference." Without flinching, the little boy picked up another starfish and threw it back into the ocean. "I made a difference to that one!" SILVER BREAKS $40, and Even Jim Cramer Joins the Silver Camp. I wonder why this interview was not done on CNBC? Could it be because physical silver is not a "Wall Street" stock, but rather a tangible asset that you can trust? LINK> (Silver Gets No Respect). Gold hit another all-time high yesterday, closing well over $1,450 per ounce. Silver’s closing price of more than $39 per ounce is the highest it has been in 31 years. Why the big jump in gold and silver prices? The answer is pretty scary because there are many reasons precious metals are heading higher. Let’s start with the most obvious —inflation. 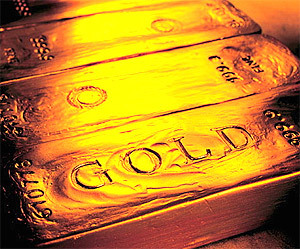 Kitco.com reported yesterday, “The precious yellow metal got a fresh influx of investment buying based upon heightened inflationary expectations, safe-haven demand and a weakening U.S. dollar index.” (Click here for the complete Kitco.com story.) You can give the same reasons for rising silver prices. The mortgage crisis is still looming and undermines any chance of recovery. 60 Minutes takes a peak behind the documents. 01 April 2011, 04:08 p.m. Congressman Ron Paul wants competition for the FED's monopoly on currency issues.